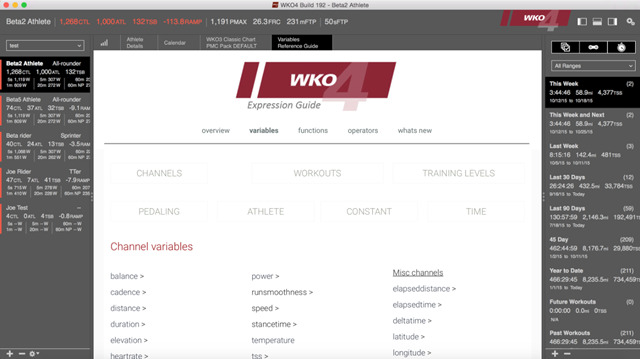 Below are the latest features and updates that we have made to WKO4. If you have a feature you would like to suggest, you can submit your feedback here. 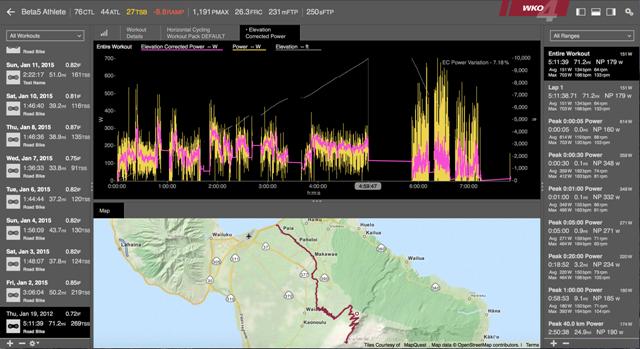 You can also keep up to date with the features we’ve added to TrainingPeaks. Fixed a problem drawing vertical lines on charts using the pattern (data). Fixed a problem drawing charts and scaling the X axis with expressions that use the variable “x”. Fixed a problem updating the Chart Library on PC for charts that have special characters in the filename. Added an expression for population standard deviation pstddev(). Create selections on the map by clicking the dot and dragging. Filter out obviously invalid GPS track points in maps. Parentheses and bracket matching in expression editor. 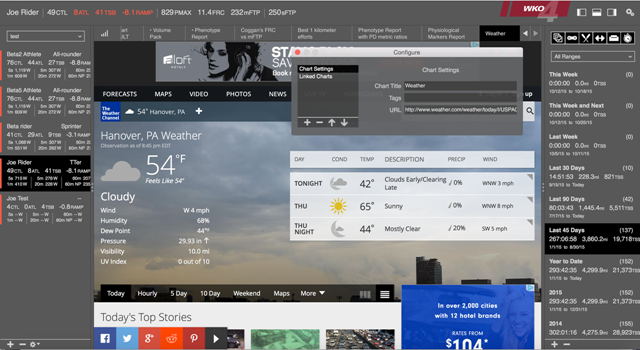 Expressions from the popup are inserted to the expression editor instead of replacing. Fixed a problem automatically expanding the expression editor box on PC. 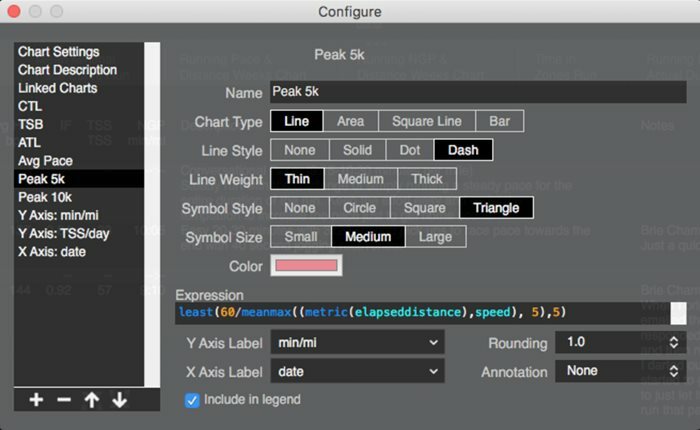 Allow fractional seconds when editing workout level ranges in RHE. Synchronize the cursor position while moving the cursor on a map. Improved copy to clipboard on PC charts. Create thumbnails after editing a chart on PC. Fixed a problem reading .fit files for open water swim. Relax error checking in corrupt/malformed .fit files. 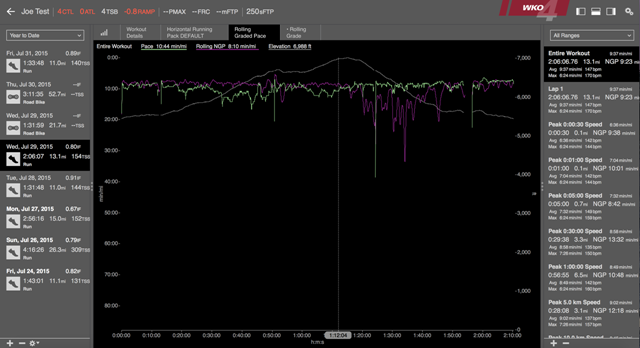 Fixed a problem with jumping LHE while syncing with TrainingPeaks. Fixed crash loading certain workouts with invalid distance records. Found and fixed some memory leaks. Fixed application freeze in some circumstances when renaming a workout file. Fixed a problem recognizing duplicate files created by Dropbox or Google Drive. Send dropped files to WKO4 instead of the web page when dropping files on a Web chart. Fixed crash when adding/editing athlete tags on the Athlete Details tab. Fixed a problem where typing in an edit box on the Athlete Details would lose keyboard focus. 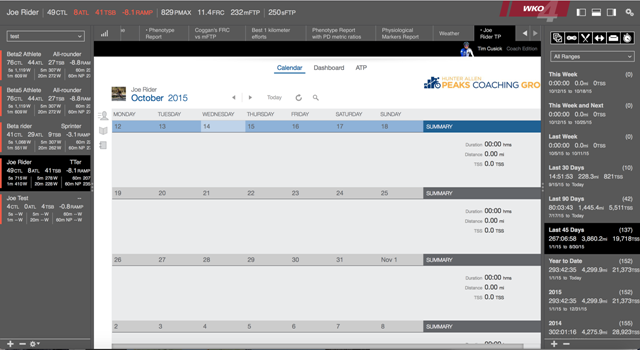 Remember the selected date range per Athlete when clicking between athletes. Send anonymous usage data to help us improve WKO4. You can opt out in WKO4/Preferences. Calculate power metrics for running files with a power channel. For additional features and fixes, view this week’s release notes. 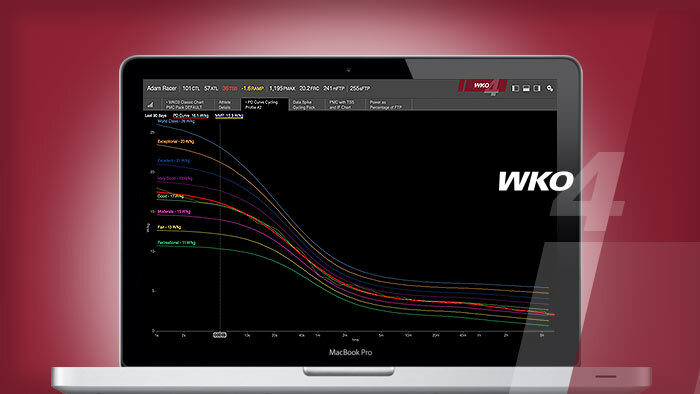 Developed by Dr. Andrew Coggan, the Elevation Adjusted Power Chart in WKO4 automatically corrects power data for the effects of elevation in a more physiologically cogent manner than previous approaches and taking into consideration variations in fitness between or within individuals. The newest release of WKO4 features the ability to load web pages in app as a chart feature. This allows for increased interaction with TrainingPeaks accounts and enhancements to functionality in the application. Also, this feature will allow for a dynamic content management system when it comes to chart expressions and formulas. The Rolling Normalized Graded Pace Chart tracks rolling graded pace for runners, allowing runners to better understand the effects of elevation on their pace. When coupled together with other key markers (elevation, heart rate, power, etc. ), it gives excellent insight into effect of terrain on a runner. Utilizing the new page function, we’ve introduced an in app reference guide for building custom charts and reports. This support tool will improve your ability to discover exciting new data metrics. Install the new expression guide. New log, ln, log10 functions. New ecpower, rngp and rgrade functions. New fibertype and vo2max functions. Now adds default charts per sport type when a new sport type is found. Scans data files on startup to reload changed files. Several fixes to improve responsiveness and speed. 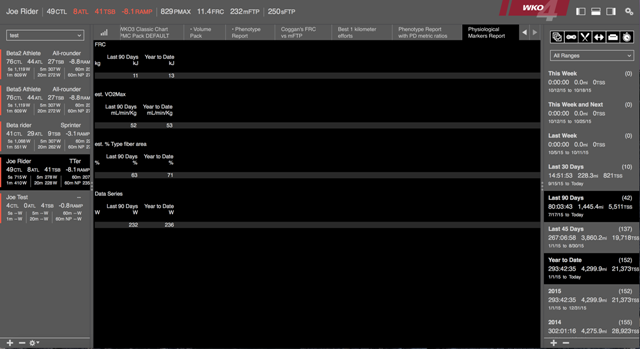 Improved responsiveness while editing historical FTP and weight metrics. Fixed a problem adding default athlete ranges. Created a new opton on the Athlete LHE to reset athlete ranges to default. Fixed an issue flagging new workouts, and athletes with new workouts, using bold-face font. Fixed a problem evaluating conditional expressions which lead to incorrect binning of expressions with compound conditionals. Fixed a problem with evaluating athlete date range expressions in RHE. Fixed incorrect placeholder text on LHE dropdown box. iLevels is the introduction of a new training level system that is optimized to the athletes unique physiology and fitness. Moving beyond traditional training levels, iLevels blends the classic approach of basing training levels on some form of threshold performance with the athletes specific power duration curve to produce training targets for both target power and time. The goal of the new iLevels is to give the athlete individualized insight into how to maximize their training and improve performance. Improved calculation speeds for top level calculations.